FinalFling.com, created by Barbara Chalmers, is the first website dedicated to end of life decisions that celebrates a wealth of choice and control and provides the tools to plan, seek advice and discuss the issues around death. The website is created so we can take those all important first steps to make sure we end our lives in the same purposeful way that we live them. I met with Barbara towards the end of 2011 and was fascinated by the idea of Final Fling and that this end of life website should be the brainchild of someone so clearly full of life added an extra flavour. Barbara was born in 1960 and grew up on a farm in the South West of Scotland. She runs a communications consultancy, Plan B Collective and has provided strategic communication support for national and local government, Scotland’s Commissioner for Children and Young People, El Sistema Project and the Scottish Wave of Change Cultural Olympiad project. In 2010 she led a national pathfinder Glow Co-create project funded by Creative Scotland and Learning & Teaching Scotland to create a digital artbank for the national schools intranet. Barbara trained as an Executive Coach with Strathclyde Business School, studied Counselling Skills (COSCA), is a qualified life coach and trained as an independent celebrant. 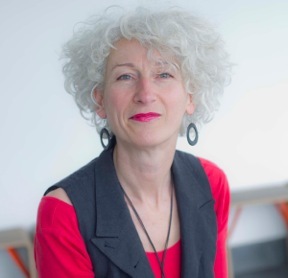 She is Vice Chair of the Board of The Arches, is a Director of the Board of Kinning Park arts and community complex and been an Adviser to Creative Scotland. She has two grown up children, lives in Glasgow with her partner and plays in a women’s samba band. “The UK is facing a care crisis. We have a growing and ageing population and shrinking budgets for health and care. We are heading into the golden years of the Baby Boomer generation, who like to be in control and want to do things differently. FinalFling.com offers a win-win solution. It’s a one-stop-shop for end of life planning. FinalFling’s mission is to encourage people to think ahead, talk openly, challenge the norm and take control of the plans for death and to help people make life and death decisions whilst valuing choice, control and difference. FinalFling.com features practical, emotional, spiritual and creative support. “Religion, authority and tradition may have lost their hold in our increasingly secular society but we still have the need for spiritual and emotional support,” explained Barbara. “We have associate artists who can help create what you might call ‘rites of passage’ events that mark life’s milestones. We have end of life companions to support someone on their final journey. We can point to Humanists, independent celebrants, ceremony planners and creative artists who can help them find the balance between sombre and celebratory to create those rich rituals that help healing after a loss. What a fantastic concept andan amazing website to follow it. When my brother died unexpectedly, we had no idea what to do. We picked a funeral director who did a good job of directing us in what we needed to do, such as registration etc. We also got to choose songs, what was said in the local press etc. We decided, whilst still in shock, but with what we thought- not what my brother thought. This site has made me realise how many more options there are. Things I nevever thought about nor thought possible. Although it is a one stop site, it is not a one visit site. I have gone back to it several times, doing a little more each time. At last, I have made a will ( something I have been telling myself to do for so long but never got round to)It was very easy to do and what makes it better, is knowing I can go back and change it as many times as I want, with no addtional cost. I thought £50 was a bargain to begin with. By talking about the site, it has opened the way to discussing death and planning for this with all my family. I must admit, it was awkward for them at first. Somehow we seem to think by not talking about it or planning for it, it won’t happen but lets face it- it’s the only thing guaranteed in life ( well except taxes!) I still have much more to do and plan and as I said, I am going back and forth into the site, plannign a little more each time and adding new things as I think of them. I would recommened this site to EVERYONE! No matter what age. It’s simply fantastic.